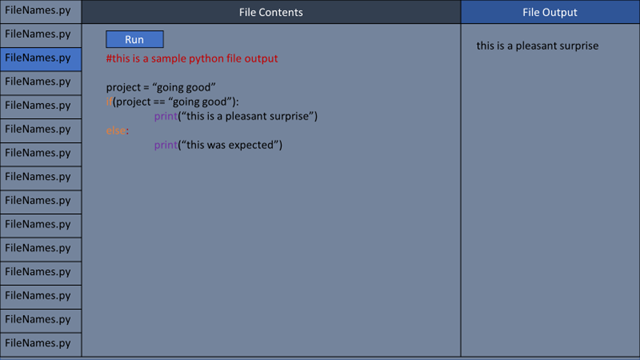 I want to write a web page that allows the user to upload a set of python files and then it shows the file contents based on the selected file and allows the user to then run the file and see the output/interact with any prompts. I am looking for recommendations on language, libraries and/or frameworks to consider for this project. It will only be used by my programming professor for now so it doesn't have to be perfect, I'm just trying to save him from opening and running each file separately for his intro course. Browse other questions tagged python html web-development web or ask your own question.